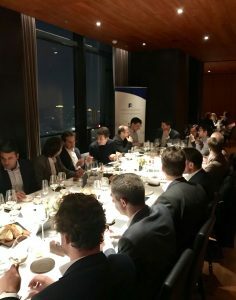 Talent Fishers was very proud and happy to sponsor another great FrenchFounders event on November 26th. 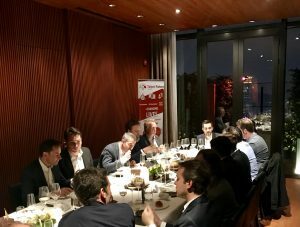 Long term partner of both fast growing start-ups and MNCs in China and around Asia, Talent Fishers was glad to support an event aiming precisely at connecting Startup founders and Corporate Executives. 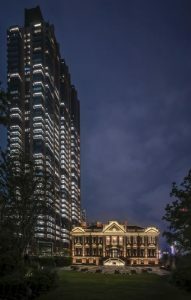 Hosted in the beautiful and newly opened Bulgari Hotel Shanghai, the dinner gave a chance to 15 French entrepreneurs to discuss with 15 top level executives from MNCs. Romain Millet (China CEO of Groupe Beaumanoir) introduced to all how Groupe Beaumanoir leverages partnerships with innovative startups to keep the pulse of the very fast changing expectations of the Chinese consumers, while Arthur Augerot (co-founder of Design OVERLAY) shared how the support of a large group allowed him to kickstart his new entrepreneurial project. Thanks Caroline DOUSSOT for the great organisation as usual and Vincent Billiard for welcoming us in such a wonderful venue. We look forward to seeing the FrenchFounders community again next week, December 4th, for a roundtable about HR Challenges in China.